Can I get your opinions on my network build please? Any suggestions would also be great. Bad gate placements. A player woulf easily wraith two gates but heres the cons. It woulf weaken your first choke significantly. Heading to the back wouldnt be problem. I would suggest reworking that choke. And have 2 gates at the front for better stealth. Protection. Also your farms are highly leveled. And there isnt really a chokepoint at the back. Just randomness. I would suggest protecting your resources better. Max your sentry. And your scanner is pretty low for your level. I would easily take over 3 mil cash and a third of your bcoins without any challenge. I would suggest scanner chokes. Guardian chokes isn't recomended unless your nodez are highly leved or are guarded as well. If you have a Facebook link. I can add you and test your network. Should I also remove all my Black ICE and replace them with turrets? I just think they work poorly in choke points. I sent the request. Hope to have you in my friends list. I accepted your request. 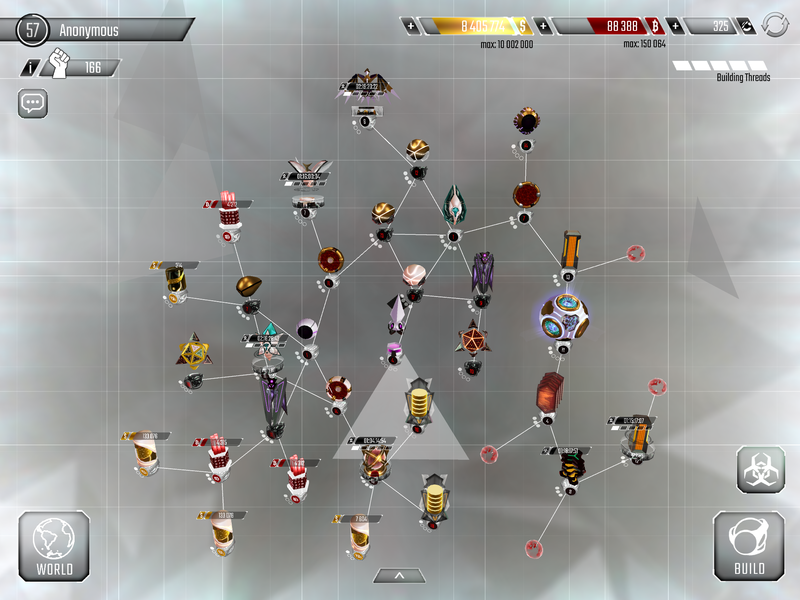 Right now i currently have a lot of nodes upgrading so it might be easy for you to hack. I'm sure you will see the replay of what I was talking about. I wraith both gates. And that would prevent the higher level sentry from getting to the first chokepoint. Getting to the back. A pure black ice choke isnt so great since they take time to attack. I would recommend a diversity of two. Of course a high level hawk would greatly improve defense. You can test my network as well. Yeah I see what you mean , but especially you're a higher level than me with stronger programs then it'll be easier. I'm currently upgrading my scanner right now. I switched the turrets and Black Ice back to their original spots on the choke points. Is there anything else you recommend I should upgrade first? Sentry and scanner are main priorities if you want your base to be strong. Don't forget to move your gates to the front. Unless you have 4 then maybe you can place one in the back.